Wireless Headphones are the most popular type of headphones on the market currently. They are compact, have multiple connectivity options like Bluetooth and NFC, come with an excellent battery range and the best part is that they are not very pricey. But, How easy it is to choose the best wireless headphones for yourself? Tough! right? Since there are so many great wireless headphones available in the market and that too from so many brands, we felt it as our duty to help you navigate the market and choose the Best Wireless headphones for yourself. 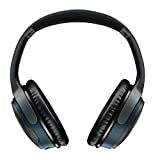 Below, we have assembled detailed reviews for the top 10 wireless headphones. 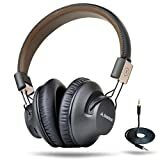 Included are headphones from top brands like Sennheiser, Sony, Bose, and few others, ensuring that there is a recommendation for everyone with a particular brand loyalty. Equipped with hi-fi sound technology, and a whopping 40-hour battery life, these headphones easily earn their first spot on the list. These pair of headphones are abnormally light, weighing in at just 7 ounces. If you’re used to some heavy headset, these are very likely to add extreme comfort and you may have just found your best Bluetooth headphones! They are equipped with all major features, including dual device connectivity with either Bluetooth 4.1 technology or NFC. The sound quality is excellent, and there are no clear compromises made by Avantree to achieve that. The over-ear design overall block the surrounding noises to enter and provides you a complete room to focus just on the music. The built-in bass boost takes the overall listening experience to the next level. Up to 40 hours of insane battery range on a single charge. Extremely lightweight headphones, weighing at 7 ounces. Comes with the latest Bluetooth 4.1 and NFC. No audio delay while watching TV or PC. Superior Bass boost and excellent voice clarity. Inbuilt microphone for receiving phone calls. Multipoint connectivity: Connect up to 2 mobile phones simultaneously. Leather headband and soft padding on earcups. 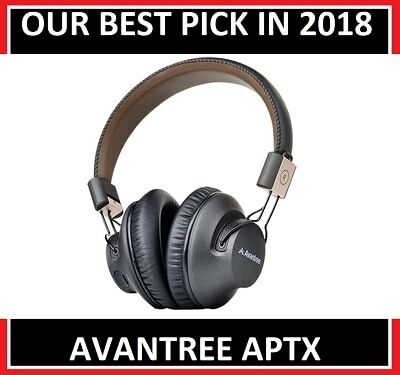 Avantree Aptx comes with multi-point or dual connectivity that allows you to connect the headphones to two devices at a time, it can be a combination of laptop and mobile or tablet or mobile. In case you are enjoying your favorite movie on the laptop and the mobile phone gets a call, the technology will automatically pause the movie and will give preference to the call. The most eye-catching feature is the battery life of the headphones. They provide 40 hours of continuous playback on a full charge, which is far more than any of the headphones we have reviewed. If battery life is one of your primary concerns, this headset excels well beyond any others on the market. Within the package you get a hard shell case, a 3.5mm audio cable and a USB cable to charge up the headphones. The build quality is great, on top you get a matt black finish with gold accents, solid leather headband and soft cushion covers on earcups. The headphones are comfortable to wear for a long period of time due to comfortable earcups and adjustable headbands. 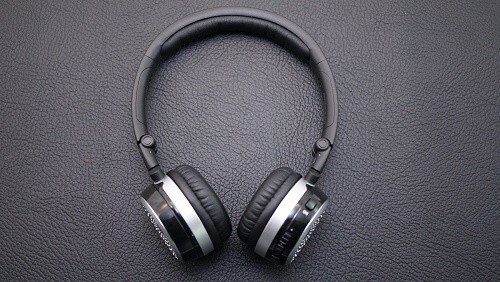 The headphones can fold up at almost half a size which is great for carrying them in a bag for daily use or traveling. Bluetooth connectivity range is about 30 feet. Connectivity is pretty accurate unless there is an obstacle in between, like a wall maybe. The headphones also come with an inbuilt mic to take the phone calls. The wired option allows seamless switching between wireless listening and wired connectivity. Battery life is a staggering 40 hours on one charge. The headset has sound quality that will impress even the snobbiest of audio connoisseurs. Inbuilt Microphone to take calls on the go. These are the lowest priced headphones on our list, and we must say it is tough competition to many of the more expensive models. If you are on a tight budget and looking for over-whelming sound quality headphones, then don’t give a second thought to buy them. The Quiet Comfort 35 are the successor to immensly popular Quite comfort 25, designed ideally for users who are looking for some perfect Noise Cancellng wireless headphones. Equipped with Bose’s world-class noise cancellation technology, you can focus on your music without getting distracted by the noisy hustle and bustle of crowds, heavy traffic or airplane engines. It is designed with users of all volume preferences in mind, employing a volume optimized EQ to perfectly tune to every listener's taste and emit perfectly balanced audio in all conditions. 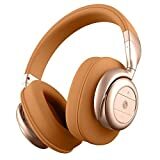 These wireless headphones also offer NFC connectivity along with the latest Bluetooth, which are supported by nearly all popular music devices on the market. A noise-rejecting dual microphone system. cushion cup and headband are extremely flexible and comfortable. Premium design with various control and led lights on the top of drivers. Three different levels of Noise cancellation. 20 hours of wireless playback on a single charge. 40 hours of wired playback on a single charge. Inbuilt microphone for taking calls on the go. In a pair of premium headphones, you basically look for a couple thing. Build quality, sound quality, comfort and obviously how good the noise cancellation is? Bose has actually mastered the art of Noise cancellation. Be it in QC 25 or QC 35, the noise cancellation integration is always perfect. Its great for flights and trains, its great for loud environments, basically for everytime you want to cancel out the external loud noises and just focus on your movies or music. Build quality is really fine and is identical to QC25. They are a build-up of premium plastic with a matte finish on top. The body is flexible and the leather cushion padding on the headband and earcups is super soft. Overall they are lightweight, simple, and stylish wireless headphones that are obviously ruling the market. We assure you that if you go for them, then these are going to be your companion for a really long time. Tired of noisy phone calls and poorly made microphones? Bose has you covered there too! The Quiet Comfort 35 features advanced dual noise cancellation mics, which block out all external noises, allowing for crystal clear communication in any setting. On the right earcups, you get the volume control buttons, buttons to play, pause and change tracks, a button to turn on the headphones and a LED light notification. Along with all the excellent features in these headphones, they boast an impressive battery life of up to 20 hours. the battery in them is really strong and it actually holds up for 20 hours. So, even with heavy listening, you can expect the battery to last around for 1 week on just a single charge. They do include a free mobile app that makes it easy for you to switch between devices, and lets you personalize your settings as per your preferences. Best in Class Noise Cancellation. Extremely lightweight for better comfort. Premium build quality with the elegant matte finish on top. Volume-optimized EQ for balanced audio performance. Better control with the dedicated mobile app. Up to 20 hours of battery range on Wireless Mode. Could be pricey for some users. These headphonesare ideal for users who want the highest quality possible, with little consideration for cost. The extra cost is substantial, but so is the quality! The noise cancellation feature is on point and we beleive that you won't get any better of that in any of the headphone other than QC 35. Battery and connectivity has always been one of the biggest issues plaguing wireless headphones. Plantronics took this to heart and made an effort to develop the mid-priced Backbeat Pro with best in class battery and connectivity. Their battery is rated to last for up to 24 hours of continuous listening. Its long battery life is further matched by its outstanding wireless connectivity range of 330 feet. 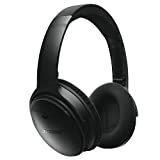 Along with the listed features, the Plantronics Backbeat Pro also has multi-device connectivity features, allowing you to connect both your tablet and phone to the headphone at the same time without creating any connectivity issues whatsoever. An onboard microphone and noise cancellation round out the feature set, allowing for crystal clear phone calls and uninterrupted listening in noisy environments. Noise-canceling functionality at a very cheap price. 24 hours of excellent battery range on a single charge. Excellent connectivity range of up to 330 feet. High-quality audio experience with integrated bass. Up to 2 devices multi-connectivity option. Comes with both Bluetooth and NFC for seamless connectivity. Pillow soft covering on earcups. Added 3.5 mm jack to use them as wired headphones. Noise cancellation in headphones never comes cheap. Combine it with Bluetooth and you are easily looking at a hefty price tag ( Bose sound link 2 is a great example of this). But, Plantronics backbeat pro is the exception, it comes with Bluetooth, NFC, and active noise cancellation technology at a very cheap price point. Combined with its good build quality, these headphones make a great impact overall. There is absolutely no reason not to buy it, and those who do are guaranteed to be impressed by its quality and innovative tech. The headphones come with a ton of controls on them. The right earcup holds an on/off switch, volume dial, mute button and a dedicated button for answering and ending calls. The left earcup on the other side holds up an on/off switch, a button to turn on NFC, Play/pause button and a dial for skipping forward and backward. It might sound as some science-fiction but technology has made it possible and the invention is said to be “multipoint”. Let’s say the Bluetooth headphones are connected to two devices. You are listening to music on one of the devices and the other one receives a call, now the headphones identify which one it is, pauses the music on the first one and automatically streams the call from the precise device. Managing two phones, let’s say a personal phone and the other one be a professional phone. Using the headphones with iPod while staying connected with the cell phone. Playing games on your console with extreme sounds effects without worrying about missing the important calls on your cell phone. These headphones feature excellent build quality and are comfortable for prolonged use. The cushion cups are soft and cover the ears well. During our testing, the fit was perfect, and most people with usual head shapes and ear sizes should have no complaints. Since they are closed back headphones, with deep bass and noise cancellation features, they stick tightly to the ear so that no sound leakage can occur. All the good sound quality in the world can’t make up for the uncomfortable headphones, but thankfully, that is not a problem with the Backbeat Pro. The weight of the headphones is neither heavy nor light. But, when compared with other top wireless headphones in the same price range, you will find them slightly heavy. Premium design for maximum comfort. Tune out distractions with a one-touch noise cancellation circuit. Battery life of 24 hours for the longest playback time. Connectivity range of up to 330 feet. Cheapest headphoones with active noise cancellaton technology. Slightly heavier as compared to competitors. Bass might be too much for some users. We challenge you to find a good reason not to purchase these. Every aspect of these headphones screams on top of its class. With premium features at a mid-budget price range, there are really no headphones on the market that can compete. Plantronics has really taken their 50+ years of industry experience and put everything they had into the engineering of the Backbeat Pro. Sony is one of the finest, and most popular, manufacturers of electronics in the entire world. Whether it is televisions, mobile phones or headphones, Sony has always given its best to the customers. The result of their efforts is a dedicated fan base of trusting consumers that is years in the making. Products like the Sony MDRXB950BT/L are part of what supports this reputation. Designed for the users who love Bass, the MDRXB950BT/L features electronic bass boost circuitry for an awesome bass experience. Electronic bass boost circuitry for optimized bass. 20 Hours of battery range on a single charge. Neat matt finish on top. large 40mm drivers for wide frequency response. Built-in microphone for taking calls on the go. A 3.5mm jack to use the headphones in wired mode. Lush, cushion covering on earcups for extreme comfort. Sony loves to ensure that you get what you pay for! Comparing these headphones to other leading manufacturers like Bose, they come at a much lower price point. So long as you’re not a die-hard Bose fan, the Sony MDRXB950BT/L are a worthy competitor to any of their offerings. Now talking about the looks and feel of these wireless headphones, they look big and that is mostly because of the 40mm large drivers they come. But, surprisingly the overall weight of the headphones is very light. They are build of high-quality plastic, metal headband and soft leather band cushion which makes them extremely soft and comfortable to wear. They are available in 3 different colors; Black, Blue, and Red. We personally like the black ones as those come with beautiful red accents on the body. In addition to their wealth of premium features, these headphones feature an excellent battery life with up to 20 hours of continuous playback. They’ll ensure that dead batteries never come between you and your wireless entertainment again! The best part about these headphones is that you get a dedicated button to turn on the extreme electric boost, for convenience in fine-tuning your sound. This is great for multiple users who may have differing bass preferences. Finally, these headphones make taking important calls a breeze with an inbuilt microphone. Life just can’t get any easier! Overall, premium features and a stellar build quality makes he Sony MDRXB950BT/L one of the best wireless headphones on our list. Red Flash, which signifies the energy saving mode is on, and lower sound quality is enabled. 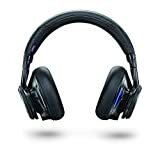 The headphones come out the box in blue flash mode, which is high-quality audio. That is the standard mode. Advanced electronic bass boost circuitry for extreme bass. Option to take and place calls on the go with one touch button. Solid build and comfort quality. A broad Frequency response of 20 – 20,000 Hz. Battery life of 20 hours playback and 200 hours standby. If you have used bulky headphones in the past and have been quite comfortable with them, you will enjoy the Sony MDRXB950BT/L. They are also an excellent choice for those who are looking for mid-priced headphones. The technical aspects including the bass, sound quality, and battery are excellent, and you get an overall 20 hours of wireless music playback on a single charge. Are you searching for something unique and beautiful in the market? If so, these headphones are for you. Though you may find them slightly expensive, you will quickly be assured in your money well spent by their plethora of features and astounding build quality. 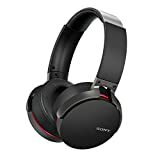 Designed by market's leading electronics manufacturer Sony, these wireless headphones are equipped with high-resolution audio technology to provide a best in class music experience to the listener. Their high fidelity audio pairs impeccably with its best in class noise canceling technology. Whether you are stuck in traffic or sitting on an airplane, with these headphones you will be able to put full focus and attention on your tunes. They use the latest Bluetooth technology for connectivity, which makes them easy and convenient to connect to every device you own, including tablets, iPhones, TVs, and PCs. Easy to use gesture touch controls. Up to 20 hours of great battery range on a single charge. Active Noise cancellation technology with a dedicated on/off button. Full foldable pair of headphones. Comes with Bluetooth and NFC. 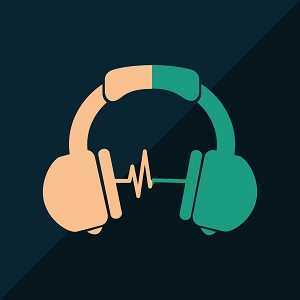 Ambient Sound Technology- This feature on lets only voices coming in when you are listening to music, rest all the ambient noises are locked away. However, if at any point of time you want to tune into the world outside! Just cup your hand over the right headphone, and you’ll easily be able to hear all of your surroundings. We personally believe that this is by far the most important feature you will ever see in a pair of headphones. Touch Controls: Bored with the physical buttons on your old headphones? These Bluetooth headphones provide smartphone-like interaction using intuitive gesture touch controls. This is one of a kind tech that significantly reduces the issues of wear and tears on physical buttons, ruining their ability to work after a short time. With gesture controls, you can swipe right to go to next track, swift left to go to the previous track, slide up and down to adjust volume and simply tap to play/pause the music. We were blown away by the overall look and feel of these headphones. The design is quite simple and the leather finish on top of the earcups feels extremely good. The body is mostly made of high-quality plastic which not only looks good but is also pretty solid. The only thing that could have been better is the cushion quality of earcups. It's not bad, but, we have seen so many headphones from Sony with better and more comfortable ear cushions. Let's talk about the thing that's most important, the sound quality. Well, the sound quality is amazing and is certainly better than the QC35. The headphones deliver perfect bass without affecting the sound quality. We think it would be very hard for anyone to point out any issues in terms of sound quality. The ambient sound system makes it so that you never miss a beat from your surroundings. Exceptionally beautiful design with the solid build quality. Impressive sound quality with punchy bass. Intuitive gesture controls on top for controlling the music. The ear cups could have been more comfortable. These are the best headphones ever produced by Sony. Though a bit pricey, it is easily justified by their unique, intuitive control features and excellent sound quality. The overall design is very elegant and is as beautiful as you will ever see on any headphones. Despite the overwhelming number of high-end headphones on the market, Beats has still managed to stake its claim in the wireless sector. In its early days, Beats Audio started out making wired headphones and instantly became a market sensation. Now, as they step into the wireless headphones market, the expectations are just as high, and thankfully they do not disappoint. Beats Studio Wireless headphones are equipped with dual mode adaptive noise cancellation technology and feature an inbuilt mic to take calls on the go. Built with only the best quality materials, they are one of the lightest headphones on the market, and will never burden your head after hours of listening. Comes with both wireless technology and a 3.5mm jack for wired connectivity. Wireless Bluetooth connectivity up to 10m/30feet. 12 hours of battery range on a single charge. Built-in microphone for accepting calls. Extremely lightweight with a neat design on top. Integrated wireless controls on the left driver. Some users have complained that the Bluetooth connection drops, and we confirmed this with numerous users of the product. To remedy, the headphones must be updated after connecting them to a PC. After the update, there would be no such problem while connecting it to any music device. Now the beats have really shown improvement in terms of build quality. The build quality is solid and is prone to any wear and tear. The headband is comfortable and also adjustable, which makes it a good choice for people with large head shape. Not just the headband, but the earcups are soft as well. They are large and would give you an overall great over-ear headphones experience. With headphones actually in hand, you might feel like they don't come with any wireless control, but that's not true. On the left earcup, you get buttons to control the volume, change the tracks and also a play and pause button. Since there is no marking for these buttons on the earcup, the headphones look even better. These headphones are great for users who struggle to find headphones in their favorite color. Beats Audio has manufactured the Studio Wireless Headset in 10 colors, some of which are available in a sleek matte finish. Our personal favorite is matte black color since its quite low profile. Like some other, similarly priced wireless headphones, connectivity range is a non-issue for this set. Packed with advanced Bluetooth technology, you can easily connect to Apple or Android devices up to 30ft away. This has the convenient benefit of being able to listen to your music in multiple rooms of your house, without ever moving the device. The headphone’s batteries can sustain 12 hours of continuous playback on a single charge in wireless mode, and up to 20 hours playback when wired. Talking about the sound quality, beats has seriously improved the sound quality on the wireless studios as compared to previous studio headphones. The vocals are clear and the bass is very precise, for someone who love Bass would not be disappointed with them. However, if you are coming from some previous Beats headphones then you might notice a slight downgrade in Bass. Dual-mode Adaptive noise cancellation technology. Moderately long-lasting battery and relatively high connectivity range. Plush and cushy earcups for extreme comfort. Better sound compared to similar competitors. Non-marked wireless controls give them a clean look. If you are a big fan of Beats, you should go for then! The advanced features and excellent sound quality will leave you with no regrets. The price, however, is slightly higher than mid-budget. Still, the consumer satisfaction is on par! These are easily one of the most beauitful set of headphones on this list. Packed with Bluetooth 4.2 technology and NFC connectivity, they seamlessly connect with any and all of your favorite devices. The adaptive noise guard technology with ambient sound blocks out everything you don’t want to hear and lets you easily focus on the things you do want to listen to.Whether on a train, plane or in a crowded area, you will hear nothing but your sweet, sweet music. Lightweight, comfortable, and compact pair of headphones. Noiseguard adaptive noise cancellation technology. Up to 30 hours of insane battery life. Could be used in both wireless and wired mode. Intuitive gesture touch controls on the earcup for various functionalities. Triple microphone system for better voice clarity during calls. The PXC550 are a direct competitor to Bose QC 35. Wearing these headphones is an absolute pleasure. They look great, feels great, and they are nice and light to boot! Talking of booting them up, there is no button/switch to turn them on, you just turn them on by switching them from foldable to normal position. This could be a fun feature at the beginning but if don't get used to it, that would end up causing a battery drainage. We personally think that Sennheiser must have added an optional On/Off switch to these. Unlike other wireless headphones, you do not get the control buttons on the top. Instead, you get an intuitive touchpad on the right earcup to control your music and phone calls just by tapping or swiping your fingers. Speaking of phone calls, the inbuilt microphone boosts speech clarity that rivals your phone's mic! Talking of sound quality and noise cancellation technology, both are on point. Noise cancellation might be not as good as Bose QC 35, but then there are also few things that PXC-550 comes with that QC35 doesn't. The headset includes the Cap Tune music player with purchase, which provides a powerful suite of audio enhancements and organization. Ergonomically designed, extremely lightweight headphones. Easy to carry and travel with the carry case that comes with them. Triple microphone array for superior voice transmission on calls. 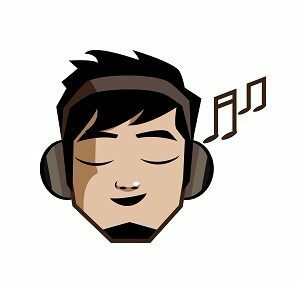 Dedicated Cap Tune Music app for easy control. Up to 30 hours of battery range on a single charge. At a lower price, these headphones would easily have beaten out all others for the top spot. However, since it comes with a hefty price tag, only the most discerning of audio critiques will be able to shell out the cash for these. If the price is of no concern, there is not a single headset on the market that can hold a candle to these! These excellent headphones excel in many aspects, especially given their relatively low price. They feature intuitive connectivity for seamless integration with all of your devices, whether they be tablets, smartphones, or Smart TVs. They are also equally suitable for gaming purpose. Their unique ear cup design is interesting and slightly unusual, but nonetheless perfectly comfortable. Most importantly, they rely on active noise cancellation technology, which aids in shutting out the outside world and immersing yourself in whatever you may be listening to. Comes with integrated Bluetooth 4.0. Standard connectivity range up to 10m/30feet. 16 hours of excellent battery range. Foldable design for convenient traveling. Active ambient noise canceling technology. Large around ear cups for better coverage. Separate control buttons and a noise cancellation toggle on top of the headphones make controlling your listening experience easy to do. The control buttons offer all the basic functionalities such a adjust the volume and play/pause the music. You also get a switch to turn on/off the headphones. The design and build quality are top notches and the cushion cups feel great over the ears. The weight of the headphones is about 12 ounces since the majority of the body is made up of metal instead of plastic. The weight is mostly counteracted by the excellent ear cup design, which is not only comfortable on the head but prevents nearly all sound leakage. The sound quality is great. Along with active noise cancellation technology, headphones do a very well job. Now, if you compare it with them the high-end wireless headphones in this list, then, there would certainly be some flaws, but looking at the price tag of the headphones, it's hard to complain about anything. To be very honest, after watching Qc35, Backbeat Pro, PXC-500, it's hard to believe that you can get active noise cancellation at such a cheap price point. Last but not the least, company has provided an excellent battery with no compromises, boasting 16 hours of continuous playback on a single charge. Advanced Bluetooth 4.0 for multi-device connectivity. Cushioned, padded ear cups for great comfort. 10 m of connectivity range and 16 hours of battery range. Comes at a very cheap price point. Auxillary input for using them as wred headphones. A little heavier than comparable models. Active noise cancellation circuit could be slightly improved. Despite coming from a slightly lesser known brand, these headphones boast brand name quality and comfort, all at a relatively affordable price. The all new Bluetooth 4.0 allows connection with all of the devices and resists the connection to maximum up to 30 feet. V-Moda headphones are currently the most durable headphones in the market. Period! Award-winning manufacturer V-MODA’s new headset is making waves in the audio community. They feature a unique, uncommon steel construction and eschew the traditional ear cup design. Engineered with gamers and DJ’s in mind, these are the best multi-purpose wireless headphones on our list. Keeping the above user base in mind, the main focus of the manufacturer is on sound quality, which is top notch in all regards. The sound is clear and balanced on these headphones, and the bass is booming. 12 hours of battery range which gets fully charged in 100 minutes. Essentially built for gamers and DJs. Built-in microphone optimized for voice clarity. 10 meters of standard connectivity range. In this review, we are going to mainly focus on build quality. Most people are under the initial impression that the headphone's all metal construction would make it uncomfortably heavy. However, we are happy to report that this is simply untrue! The company has not only focused on the look but on comfort as well, keeping the weight of these headphones at just 10 ounces. so, Sore necks and achy ears will never be a problem for users of these headphones. In terms of connectivity, Bluetooth technology allows for 33 feet of freedom from any paired device. The headphones also come with multi-connectivity options which means that you can connect your headphones to two devices simultaneously. These headphones include a 1-year warranty, ensuring the manufacturer will take care of any problems you may have with them in your first year of purchase. Though the cushion on the earcups is extremely comfortable, still they are very small which makes it quite punchy. The leather padding could have been bigger and better. Luckily you can get over this issue by buying an extra pair of larger cushion cover from the official company for a very cheap price. A quality microphone makes taking phone calls and directing voice assisted apps like Google Now a snap. In addition, there is no need to worry about battery life, as a quick two-hour charge to this Bluetooth headset provides 12 hours of continuous playback. Military level durability for a long lifespan. Punchy bass and world-class treble. Multi-device connectivity to two devices at a time. Small and punchy earcups padding. These are the perfect headphones for gaming, music and even studio usage. Build quality is more durable than anything else we’ve seen, ensuring that your purchase will last for years to come. 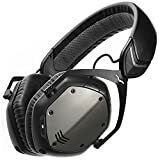 If you are primarily interested in gaming but wish to use your headphones in other areas from time to time, this is the best set of wireless headphones for you. Coming from renowned headphones brand Audio Technica, these headphones packs most typical high-end features but still misses few noticeable ones. However, it’s a fair trade-off considering the modest price tag and giant name behind them. With no noise cancellation and a mere 6 hours of continuous playback, you are probably wondering how these wireless headphones are any good for you? Well, what it lacks in longevity and features, it makes up for multi-connectivity. You can connect up to 8 devices simultaneously with these headphones. Up until now, we only had headphones with dual connectivity available to use. Audio-Technica has gone far ahead of the curve and became the hotshot choice for customers demanding this unique functionality. Insane multi-connectivity option up to 8 devices. Controls buttons present on sides of drivers. Inbuilt microphone for taking calls. 40mm large drivers for great over-ear headphones experience. Available in only one color: Black. Connectivity options include high fidelity Bluetooth technology, and the headphones also come equipped with a mic to take calls on the go. Control buttons on the headset allow manipulation of music and phone calls without ever laying a hand on your device. Unfortunately, the design of these headphones is rather bland, and only one option is available. The company has gone for a standard, all black casing with a relatively understated company logo on the earpiece. Still, it looks rather professional and sends a clear statement – that Audio Technica is all about the sound quality, and not about the flash. If stellar music at a mid-range price is your cup of tea, you’ll dig this offering from Audio-Technica! 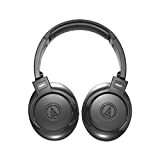 We have been encountered by several new brand headphones which are comparatively less pricey than this but are not able to cope up with it regarding multiple device connectivities and audio quality, so we recommend not to go for new brands and instead invest in these great headphones by Audio Technica. It's not just about the features of the headphones but also the after sales top notched service you get with it. Multiple-connectivity option allows up to 8 devices to connect at once. Built-in headphones amplifier and control buttons on top. Low battery life of 6 hours. Average overall look with no multiple color options. You are not going to see any headphones from other popular brands at such great value. Consumer ratings are positive, and therefore we recommend this product for any headphones shoppers, even those with a much a larger budget. Though the headphones perform average in terms of battery range and overall look, sound quality and multi-connectivity options cover up the things very well. With so many models to choose from, finding the best wireless headphones for yourself can be a daunting task. When confusion inevitably sets in, how do you separate the good, the bad, and the awful? First of all, you need to identify your needs, specifically the features you need in the headphones and the ones you can live without. As an example, active noise cancellation is a critical feature in our increasingly loud and crowded world, while connectivity range is rarely an issue for most users. Most importantly, you need to decide whether a wireless headset, whether Bluetooth or NFC (or both), is best for your needs. In some cases, you may find a wired solution works in your favor. Often introduced as “around ear” or “full size” headphones, these are by far the best type you will ever find. Due to their large size in nature, they cover the ears very well bestowing the best sound quality to the listener’s ears. Over-ear is the perfect choice for users who would like to take them down to audio mixing purpose, as they create a complete isolation atmosphere around which is also in easy words is said to be as passive Noise reduction technology. There is practically no difference between the On-ear, and it's competitor Over-ear, regardless cushion cups on On-ear headphones just size on the outer part of the ear, unlike the over-ear which covers the entire ear. Though this type of technology is better but still due to its uncovering nature, the user can still hear the surrounding sound which would bother any person around, plus they are also less noise reductant as compared to the over-ear ones. NFC or as it breaks down into Near Field Communication is also a great yet less popular mode of wireless connection due to due of its limitations. Both the Bluetooth and NFC are used for creating a connection with the device over short distances. Bluetooth where has the capability of sustaining a connection up to 33 feet, NFC can just hold up to a maximum of 20 centimeters. It may seem like Bluetooth is finer than NFC but that is not the case. Both the high-end technologies have more or fewer advantages and disadvantages over each other and can work as per the needs of the user. In a battery range battle, NFC surpasses Bluetooth and consumes less power however when NFC has to power passive medium like an NFC tag it consumes a little much power. The devices when using NFC must stay close to each other which helps in avoiding interference which is a common problem in a crowdy area where multiple devices are trying to communicate whereas same is the not the case with Bluetooth. There happens to be a problem when trying to communicate between two devices in the crowdy area via Bluetooth. NFC, as compared to Bluetooth, happens to create faster connectivity in a fraction of second whereas Bluetooth takes some time and may require a thorough read of user manual before being able to operate it perfectly but again using NFC will force you to keep the devices close to each other. There is no final shot on which is the best as both slay their feature on the respective terms, Moreover NFC is still a slightly underused technology and will still take some time to grow up when it comes to using them in headphones. Wired headphones are no different as compared to the much appreciated wireless one,It's just that they use a chord wired headset to create a connection with all the devices including Mp3 Players, iPhones, iPods, Laptops, and gaming states as well,Unlike wireless headphones they don't require any batteries and hence users don't have to worry about the dying battery in the mid of the entertainment. Most of the wireless headphones do come with wired jack to plug in the chord and let the beats flow plus there has been an intense talk in the market that they provide better sound quality as compared to wireless one, though there is no such clearance on this we do believe that wired one's stand ahead when it comes to evaluating on the basis of sound quality however wireless one still surprises when it comes to portability. Wireless headphones are great for sports and outdoor uses as you don't have to keep wired up and keep adjusting the headphones, so it doesn't pull off from the headphones jack. They allow you the free movement as compared to the wired one, and you don't have to stay close as possible to the music source. Most of the headphones we tested use Bluetooth as the connectivity while NFC is also the connectivity option in some of the high-end headphones but still since Bluetooth is the most shared and reliable method of connectivity which comes packed in all of the devices be it smartphones or music players,you can ignore the NFC part in it. How does Noise Cancellation Works? When you want to cut out the ambient sounds of engines, horns, and other audible nuisances, noise cancellation is king. Headphones featuring this tech carry a miniature microphone which picks up ambient noises, analyses them and emits a counter frequency that prevents them from reaching your ears. While it drastically improves your listening experience, it also tends to eat away quickly at battery power. This is why headphones with this feature often need bigger batteries or suffer unusually short times between charges. Open and Closed Back Headphones? If you are buying them for entertainment, you can rarely justify open-backed headphones. They bleed noise, which is annoying for people besides you, and usually carry a heftier price tag for a minor sound enhancement. However, if you are going to use them for audio engineering, then you have to choose wisely. Most audio engineers prefer open back headsets for their built-in surround sound effect, which brings the sound right into the studio with you. The choice is not rocket science, it merely depends on your budget and intended usage setting. What Size is the Best? We are often asked this question, and the answer is always the same. A 40mm driver suits nearly all head shapes and size the best. You should be very picky about size and weight when choosing headphones. Although weight can often be overlooked for good sound quality, poorly sized drivers will ruin the listening experience quickly. Moreover, headphones that are too large tend to put uncomfortable pressure on the head and ears during prolonged listening. While specialized applications and extenuating circumstances may vary, 40mm is a safe bet for the majority of the population. Are Expensive Headphones worth Buying? The short answer is a resounding yes. Few people ever regret the awe-inspiring experience of owning quality headphones. However, this recommendation is not without caveats. Depending on how well you can hear the minor differences in high-end headphones, you may wish to stay away from more expensive brands like Sony and Bose. They typically carry marginally better sound quality than lesser known brands at a slightly lower price, but that is money wasted if you can’t even tell the difference! Though the sound quality is, without a doubt, the most important metric when making a purchase, it is not the only one. 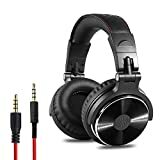 How to choose headphones that work with all my devices? Thankfully, Bluetooth technology is as simple to use as it is powerful. Have a Bluetooth enabled device? Yes? Then every device listed above, and any other Bluetooth wireless headphones for that matter, will be compatible. Whether it’s smartphones, tablets, or even smart TVs, Bluetooth has you covered. Best of all, some of the headphones above even feature ultra power efficient NFC architecture, which is commonplace on nearly all smart devices made today. This gives you multiple options for wireless connectivity across all devices!